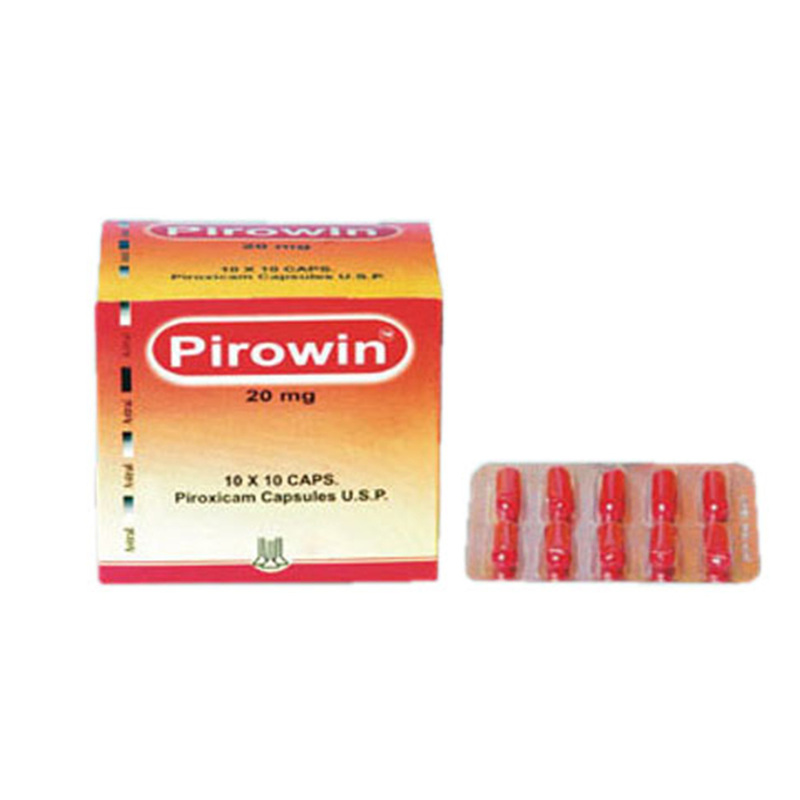 Piroxicam Capsules - Pirowin is an oral medicine comes in a capsule form to manage various types of pains, inflammations and arthritis. Blister strip of ten capsules & 10 X 10 Blister Strips kept in a multicolor laminated box. Piroxicam is NSAIDs medicine, used to relieve pain & tenderness, swelling & stiffness caused by osteoarthritis. It works by stopping the body's production of a substance that causes pain, fever, and inflammation. This medicine may cause side effects and always advisable to take in doctor’s supervision.